Work Your Supporting Side. Perfect Your Plié-Relevé. All Regions. 99 minutes. 15 Center Exercises. You will benefit most from this video if you have first studied and learned the fundamentals of ballet technique taught by Finis Jhung in Ballet Barre for the Adult Absolute Beginner. 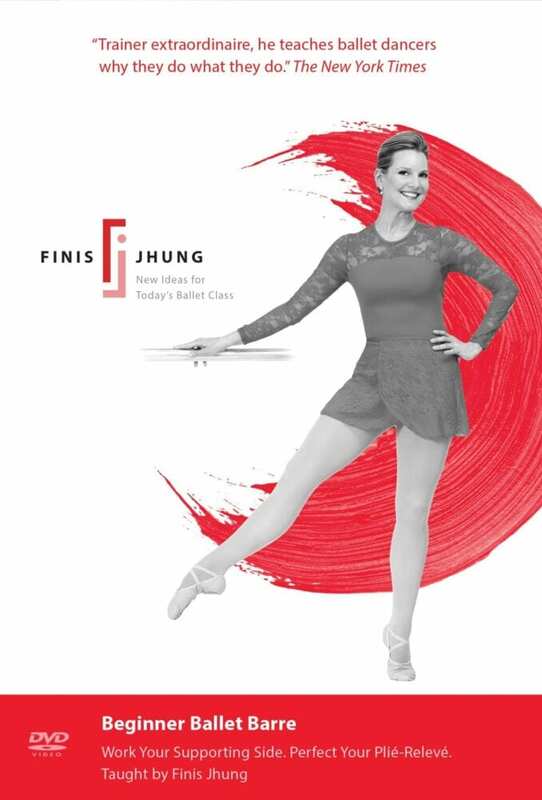 That video prepares you mentally and physically for this video, which is the second in Finis’s new ‘red’ series of barre videos for adult beginners. This class repeatedly reminds you to correctly align your supporting side from the shoulder to the toe so that you are always “on your leg” and ready to move. In addition, the exercises have been created with special emphasis on putting your brain into the free foot or position foot so that it works and moves with intelligence. In addition, you will be taught the correct way to plié-relevé so that you arrive on balance quickly with elegant ease. The difference in your dancing will be apparent to all, and then you will be ready to try the third level video in the “red” series, Ballet Barre Stretch & Strength. “I love this DVD. I am an adult who wants to take ballet classes but I don’t have the time and there are no classes nearby. I bought a pair of videos but this one is my favorite. The instruction is wonderful. I love that you can choose to go through the whole class without the instructions. These DVDs are expensive yes, but worth it to me, less than one month’s worth of ballet class. I can’t wait to progress to the next one. “Since I had a few months prior experience in ballet class when I was a younger adult, I began with this DVD and not the absolute beginner one. “Most ballet programs for adults just use the same old drills that are used to teach children. That approach can work for kids — their bodies are more resilient and absorb the information faster — but it’s pretty frustrating for adults. 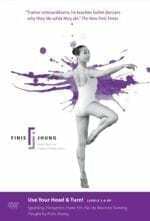 “Finis re-invented the older methods of teaching ballet. He broke down the basic, foundational movements of dance and found simple ways to explain them to his adult students. I’m sure the method is helpful for kids, too, but for adults, it’s a game-changer. Finis’s method makes it possible for people to learn ballet later in life — something that wasn’t possible before with the older methods. 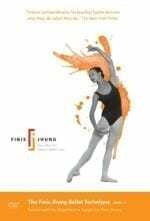 “I started Finis’s program in my late 40s (no prior dance background) and it has made remarkable changes in my body — more than yoga or Zumba® ever did. My posture has improved, my core muscles are stronger, my legs and back are more flexible and more whole body looks leaner. And dancing is a lot more fun than yoga! “There’s a reason people are willing to pay more for these DVDs — they’re worth it. You’ll keep them for years and go back to them again and again. Even if you stick with dancing and you move on to more advanced movement, you can still get a lot of mileage out of this basic barre routine. * Workout Mode is available only in hard-copy DVDs.